That means Point of Sale, if you were wondering. 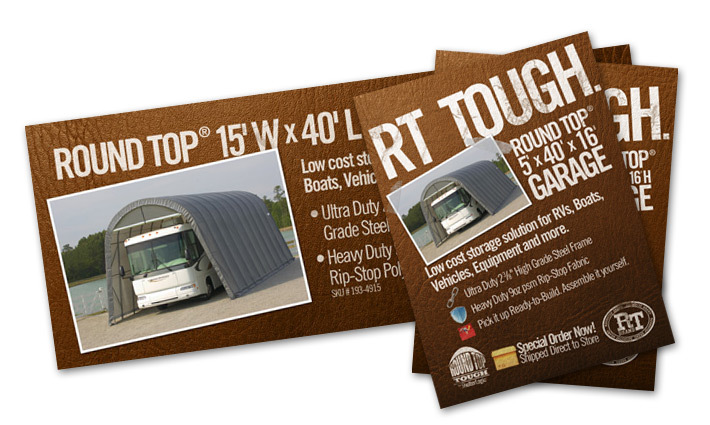 Anyhow, cranked out a couple posters for a client’s products in Menards. Never enough time to do things how we’d really like, but we created these posters in short order and were pleased with the outcome. We had the opportunity, here, to break the mold a little, for ShelterLogic. Had a little fun with textures and layers. Thought I’d toss it out there for you to see.